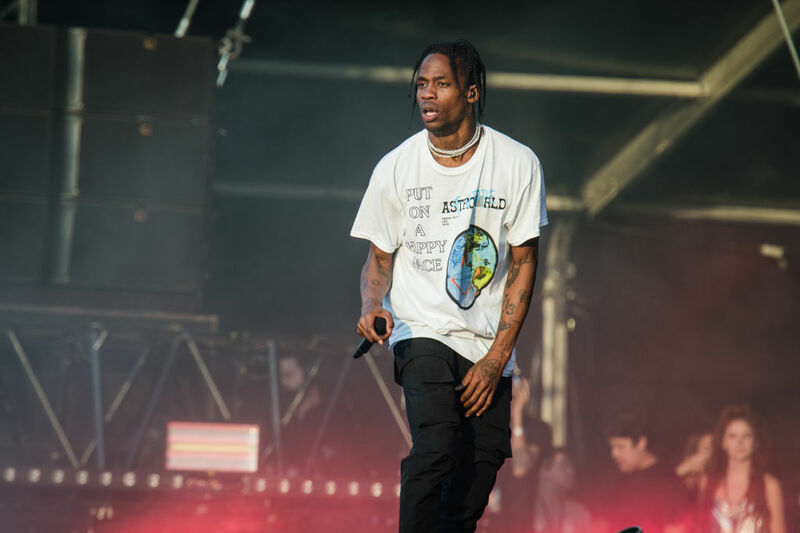 Travis Scott is set to drop his album Astroworld tomorrow August 3rd, 2018, but after laying eyes on his new album cover, he might owe the public an explanation as well. Photographer David LaChapelle shared the Astroworld album cover art on his Instagram yesterday, and the image featured trans model Amanda Lepore (among other models). However, when Kylie Jenner’s partner shared the same album artwork on his Instagram—the legendary model was gone. Lepore is not cropped out of the image but simply erased, as if she were never there to begin with. Meanwhile, all other models exist in both versions. Neither Scott nor LaChapelle has issued a reason behind the edit, but many are calling Scott’s version of the cover transphobic. "I’m curious why I’m not on the picture [Travis Scott] posted," Lepore wrote in an Instagram post. "A girl can’t help it! I’m too distracting for the eyes. I upstaged everyone in the photograph! Oh well… I love David LaChapelle and Travis Scott. Love and kisses." Photographer David LaChapelle’s original image featured Lepore in the rear left corner. Fans of Lepore’s took notice and began tweeting about the removal on August 1st, including RuPaul’s Drag Race Season 10 winner Aquaria. Looks like he edited @Amanda_Lepore out of the picture. Guess hip hop is still transphobic I see. We honestly don’t know what kind of explanation Scott might have for this, but we hope he has one. Although we’d like to make it very clear that Jenner is not responsible for the actions of her romantic partner, it is extra troubling considering Stormi’s grandparent is a trans woman.